You will occasionally hear this skill called a full-twisting Tkatchev, but that is incorrect. A full-twisting Tkatchev would be way cooler than this. This is more like a 1/2 turn into a Markelov. One of just…the weirder-looking skills on uneven bars, the Shushunova is rather hard to describe both accurately and succinctly, hence the problems noted above. That’s why it’s probably better just to call it a Shushunova and be done with everything. 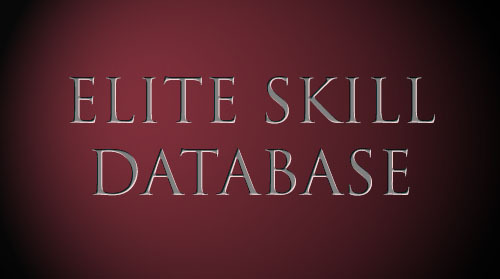 Prior to 2013, the skill was valued G, a rating that seemed to reflect the full-twisting Tkatchev misnomer more than the actual skill. This was rectified for the 2016 CoP, in which the Shushunova was hit with the nearly unheard-of two-tenth downgrade to the more realistic and appropriate E rating.